← This Saturday: Birmingham/Manchester Showdown! 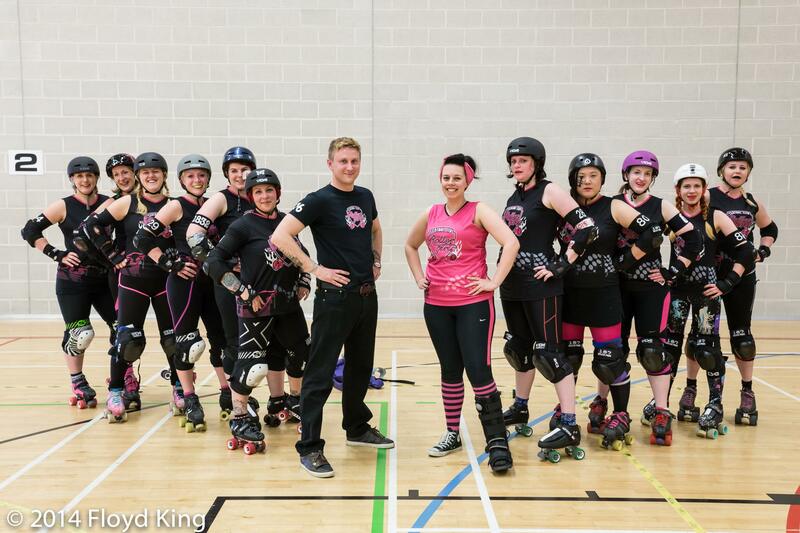 On Saturday 6th Central City Rollergirl’s B team will take on the Birmingham Blitz Dame’s B (Bomb Squad) as part of a double header bout, also featuring Auld Reekie Rollergirl’s B team and the Blitz Dames A team at Birmingham Futsal Arena. Central City’s B team are currently on a triple win streak – with a set of confident defeats over the MRD furies (244-72), Hot Wheels (203-105) and Evolution (265-123) roller derby teams. The B team have been going from strength to strength and are keen to prove themselves once again. So far the Bomb Squad has had a great season, with four wins already this year, most recently against Milton Keynes Roller Derby (193-125) and an absolute brute of a score difference, when they played Severn Roller Torrent B (317-30). The two derby leagues of Birmingham both have a strong season behind them already and both are enjoying a hard earned winning streak. The teams have not met in their current incarnations, and are sure to want to prove themselves. Which will be successful in the battle to be Birmingham’s number one? You’re gonna have to come on Saturday to find out. See ya’ there bab! Time: Saturday 6th Sept, doors open at noon.